We’ve got many good news for you in the following post! Firstly we are proud to say that we teamed up with our favourite designer Ben Hito outta France again for a literally heartical brandnew design. A big heart is needed in these dreadful times and also to fight for peace, love & humanity. 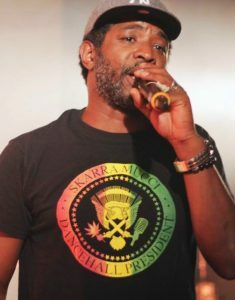 So here comes the REGGAE WARRIOR – another statement for the dancehall and everyday life. BTW: English & french shop version coming February 2017!! 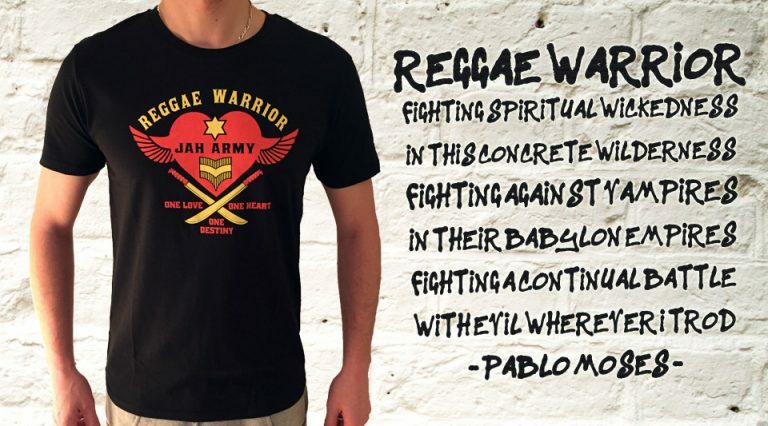 Go directly to Reggae Warrior Shirt, Hoody & Women Shirt here! 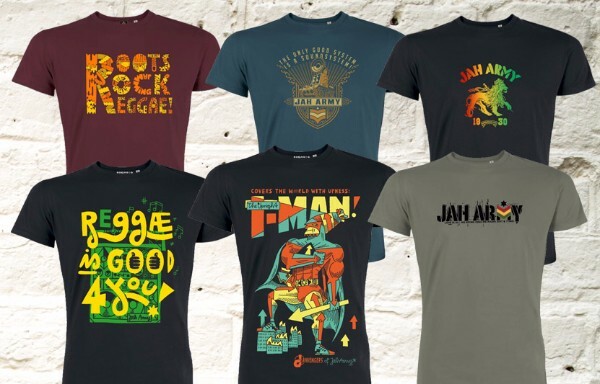 All garments are 100% organic cotton & fairtraded with skinfriendly prints for a better feeling and a better world!! 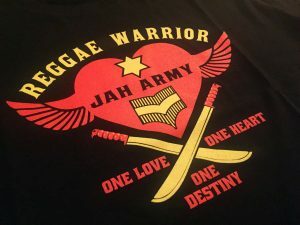 We’re having a nice & easy X-mas sale Check both reggae-wear & Jah Army items reduced until the end of the year only! 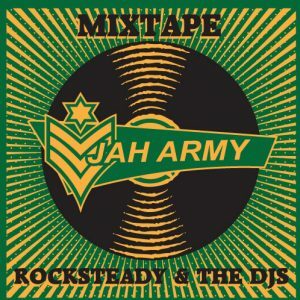 As a likkle x-mas gift we’re giving away our new Jah Army Mixtape inna rocksteady mood. Check our mixcloud for a preview and the tracklist. Give thanx for your support in 2016, peaceful holidays and a happy new year.